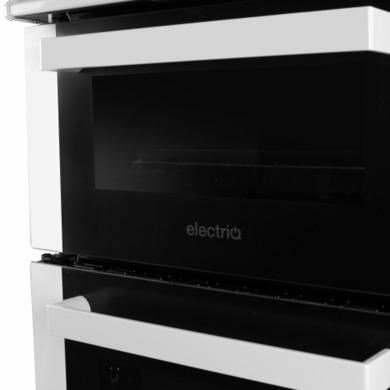 Increase your cooking capabilities with the 50cm wide twin cavity cooker from electriQ. 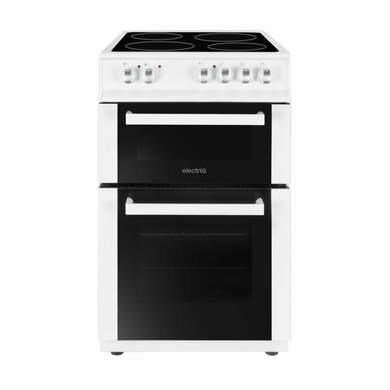 With a modern and convenient ceramic hob, a fan main oven and a separate cavity grill with an included grill pan handle set, you’ll be able to cook, simmer, fry and grill all at the same timer with this freestanding cooker. 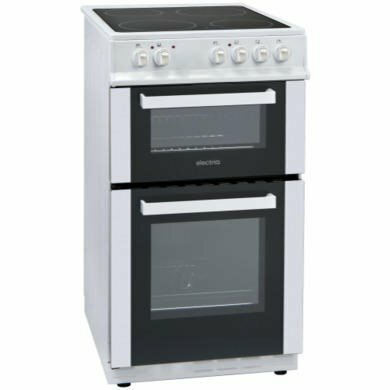 The 53 litre main oven comes with a full fan which means that you get an even and consistent temperature throughout the cavity, so that no matter the position of your food in the oven, it’s going to get a reliable and steady flow of heat. 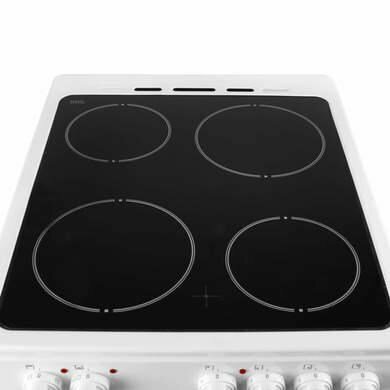 This results in evenly cooked food, and the oven thermostat will ensure this temperature is controlled and maintained throughout the duration. 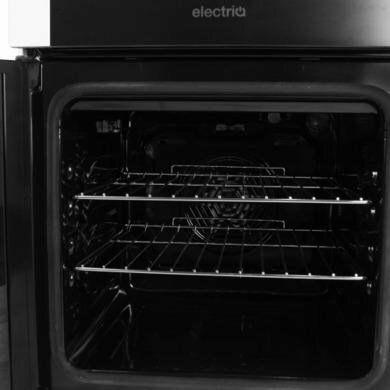 The 30 litre top section of this electriQ cooker is dedicated to a grill. 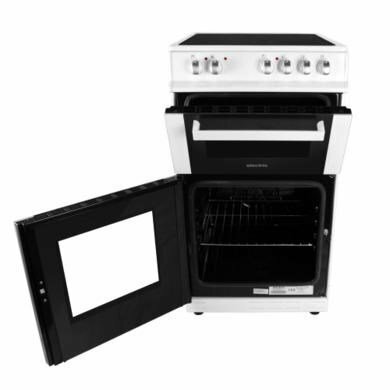 With the grill separate to the main oven, you have the option to cook just a light snack without firing up the whole oven and as an extra cooking space. 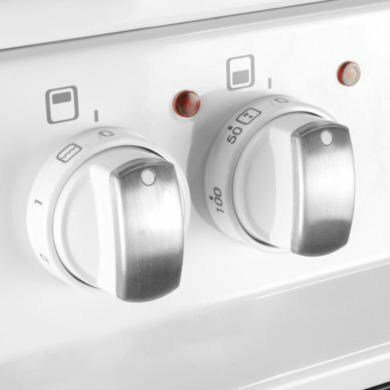 Unlike other cookers, a grill pan handle is also included so you won’t have to go out and find one that fits.